Our custom design-build packages will transform your outdoor living space. 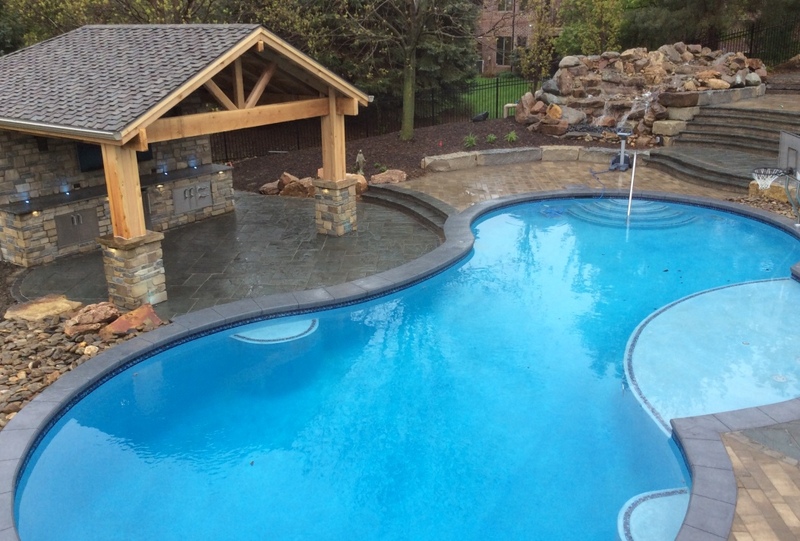 Elite Landscaping is a specialized builder of custom concrete swimming pools, pool houses, outdoor kitchens and paver patios for homeowners in Omaha and Lincoln, Nebraska. 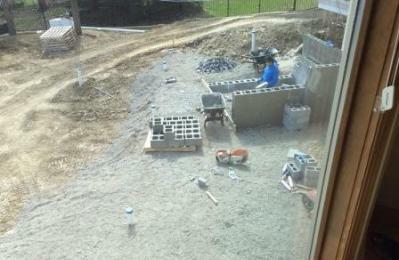 As an all in one, design-build contractor, our professional crew handles every aspect of your project with the utmost attention to detail. Our hands-on owner personally oversees the entire process through to your finished project. You work with one project manager who ensures your satisfaction every step of the way. Your timeline matters to us. The Elite Landscaping crew has accumulated more than 50 years of experience, and works within your timeline to ensure your project doesn’t drag out. You never have to worry about who’s responsible, because all our work is done in house and not subbed out. We offer the area’s best warranties on every project. Your family’s comfort and safety is our priority. Our certified outdoor crew has the expertise to keep your family safe. All gas piping is inspected by professionals. All electric circuiting is grounded and installed with safety factors specific to your outdoor lighting, water pumps, and/or swimming pool features. Diving and jumping areas are designed to code, with your family’s safety and use in mind. 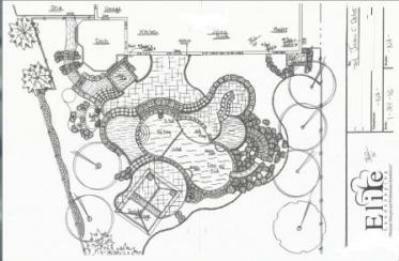 Elite Landscaping makes the design process a snap. You can come hand-select the natural materials for your project at our very own stone and paver facility. 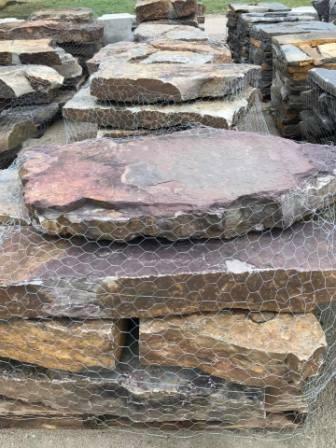 Because our onsite sister company Elite Outdoor is the stone vendor, we can ensure every piece we put on your property is of the highest quality. 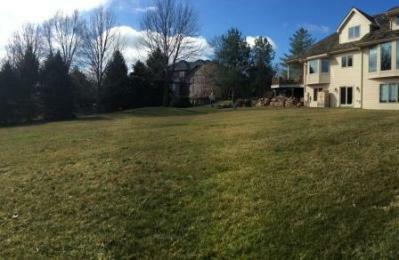 Elite Landscaping is also one of the area’s only contractors equipped to travel. Our crew is outfitted to work in Lincoln and the surrounding metro, bringing with them the same experience, efficiency and work ethic they apply on jobs in Omaha, NE. Contact us to experience our unmatched commitment to customers. Discover the possibilities of your outdoor entertaining space. 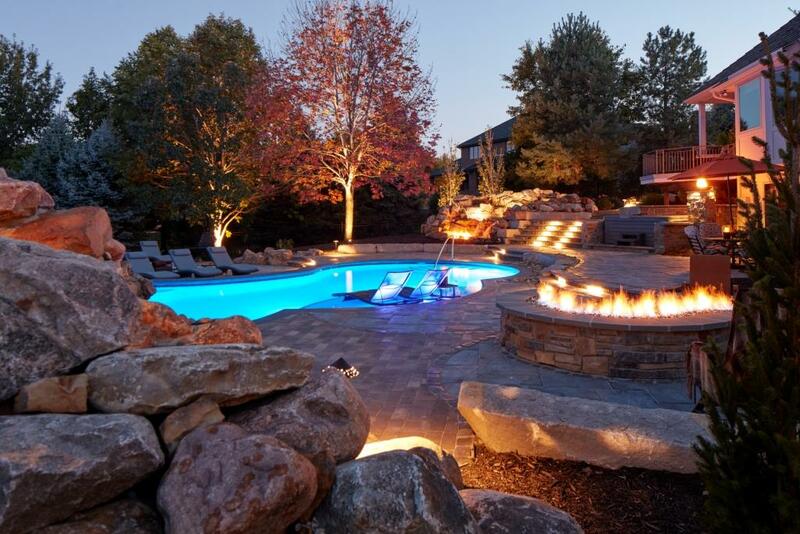 If you can imagine it, Elite Landscaping can make your outdoor living dreams come true! Complete outdoor kitchens and bars. Lavish under-deck patios and outdoor living spaces. Cozy firepits and outdoor fireplaces. Family-friendly splash areas, waterfalls and swimming pools. Custom pool houses and cabanas. Beautiful stone patios, pergolas, and more. 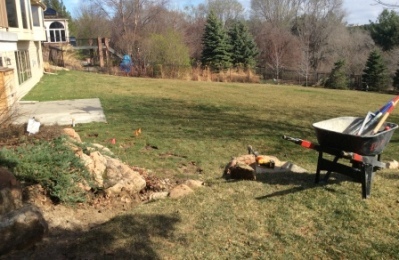 Set up your free consultation with Elite Landscaping today. Your friends and family will thank you!